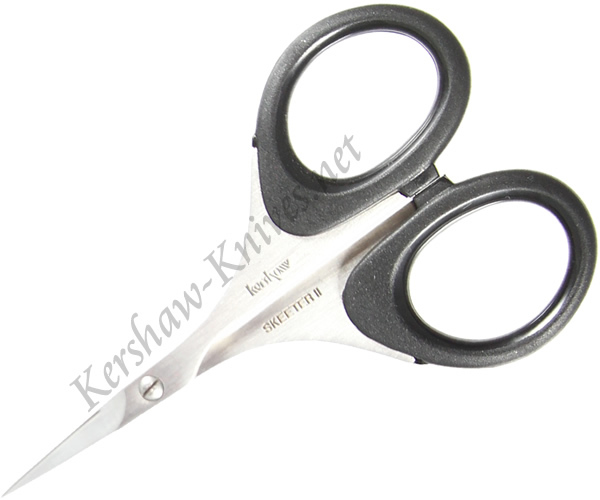 The Kershaw Skeeter II 1215 scissors were designed for making precise, finite cuts. These scissors have small serrations on the blade that give you the ability to slip a single hair if you need to. The serrations on the blade help old whatever you are cutting, no matter how small, and keep it steady for cutting. Enlarged contoured finger holes in the handle give the user extra control no matter if you are left handed or right handed.